In the footsteps of the Romans and the Ottoman Turks centuries before them, the hordes of AMP descended upon the jewel of the Bosphorus last week. Some 400 of them; the creme de la creme of AMP’s financial planners, and a host of advisers from Hillross, too, also owned by AMP. In contrast to the Romans, who decided to build their empire’s new capital Constantinople there in 330, and the Turks, whose troops overran the city in 1453, the throng from 50 Bridge Street descended upon the ancient metropolis in planes. In the company of their spouses they overran Istanbul in five-star opulence. Unlike the Emperor Constantine and Sultan Mehmed II, AMP and its grand vizier of financial services, Steve Helmich, did not underwrite their Ottoman odyssey from the fruits of empire. It was bankrolled by the ransacking of a mandatory superannuation system. Our latter-day sultans of superannuation have breezily lavished a $20 million junket on their sales force and themselves to boot. Before this year’s Byzantium bash, the AMP held its ”conference” in Dublin, South Africa, Amsterdam, Colorado and Buenos Aires. If the behemoths of superannuation shell out two bob supporting a charity you will see it heralded in press releases. There was no media for this shameful junket though. Nor was AMP forthcoming with explanatory detail. ”Professional development conference”, was the manicured response this week. Surely financial planning should be about the adviser using best endeavours to maximise the wealth of the client – allocating retirement savings to the best financial product available. If this was really about education – rather than a reward for flogging AMP product and an enticement to flog more – we solemnly promise to eat our fez. The keynote speaker, who commands a $100,000 price tag, was one Jeremy Gutsche, a spruiker in the mould of Anthony Robbins. ”Win like you are used to it. Lose like you enjoy it”, is his sort of glib motivational fare which has naught to do with education and everything to do with churning out product. Let superannuants ponder no more that a third of their life savings can vanish in poorly disclosed fees and commissions. Their advisers are swanning about the Grand Bazaar like Suleiman the Magnificent, sauntering through the Blue Mosque before a spot of shopping in the ritzy boutiques of Nisantasi. If they play by the rule-book, their investors may be treated to a modest disclosure in their statements of advice: ”professional development conference”. What the owners of the money won’t see is an account of the advisory spouse reposing in the hammam at the five-star hotel as wisps of steam soothe away the cares. Neither will they lay eyes upon the bill for spa treatments; the costs of the Chitosan masque or invigorating body peel gently exfoliating the fatty excess from their superannuation portfolio. How many AMP executive spouses had their first-class holiday financed by these savings? Were any advisers invited who had switched their clients out of AMP product into rival platforms to diversify or enhance the returns? Other sectors have toned down their foreign forays. Doctors can only receive a meal from Big Pharma these days. Gone are the ski trips to Vail. 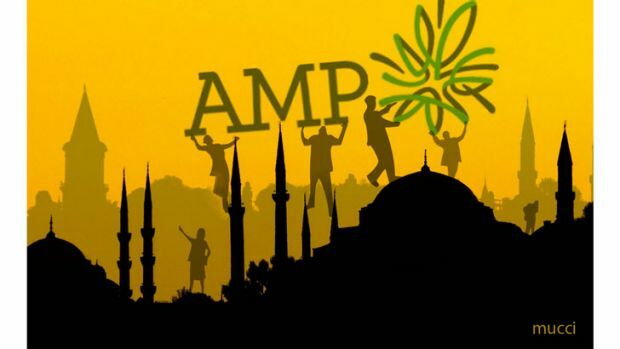 In the gravy train which is superannuation though – a sector underpinned by taxpayer guarantees and 9 per cent mandatory super contributions – here they are sipping cocktails as the sun sinks low, silhouetting the domes and minarets against the majesty of the Istanbul skyline. In politics, a Liberal premier is brought down by a bottle of Grange while Labor ministers are embroiled in a corruption probe for spending a few days at Eddie Obeid’s ski lodge at Perisher. Yet the compromising gratuities and glaring double standards in business are glossed over. No doubt they are tax deductible too. Meanwhile Canberra ruminates about winding back the FOFA reforms, which will further bury disclosure of conflicts and ramp up the hard-sell culture which gave rise to the likes of the Commonwealth Financial Services fiasco. Along with AMP, the big four banks dominate the financial planning market in Australia. Yet the issue of vertical integration – which allows this behemoth to rip out billions in fees – is apparently not on the agenda for the impending Financial System Inquiry. The FSI is headed up by former Commonwealth Bank chief David Murray. Craig Dunn, former boss of AMP, is on the panel too, along with Caroline Hewson and Brian McNamee. Most of these have won large personal wealth from the financial services system – well over $100 million between them. The FSI is nicknamed Son of Wallis, in reference to the 1997 report into the financial sector by businessman Stan Wallis. Without disclosure of vested interests it might be dubbed Illegitimate Son of Wallis.